This pine wood storage bench is shown in the beautiful primitive black paint and is available in a variety of other attractive paint, stain, and distressing options. 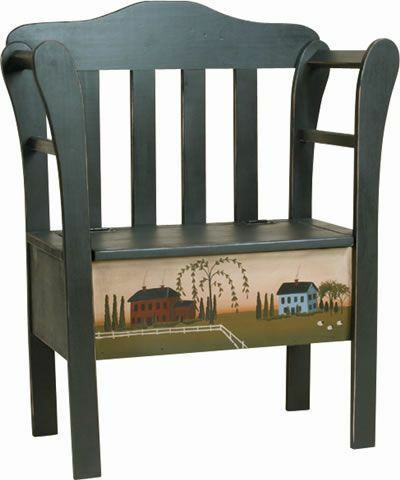 This handcrafted Amish bench makes a great new home gift or wedding gift. Contact our Amish furniture specialists for additional information or ordering assistance.